Believe me when I say that Fall in Alaska is unlike anything you've ever seen... No bias here. I'm sure you can imagine how amazing it is to be able to wear sweaters and jeans without dying of heat.. Almost a 100 degree difference between Alaska and Vegas, and it's no secret which one I like more. Neutral tones are my go-to in the fall. Simple, classic, and versatile. I'm all about having staple pieces that can transition into winter and can be matched with anything. This white sweater is one of my fall essentials! It pairs well with any sort of bottom and it's just the right weight to fit under a coat and still be comfy! These jeans are seriously my fave.. They are high waisted skinny jeans - but stretchy material and ultra comf! I love that you can style them high waisted but you can also wear them as regular jeans. These tan booties are the bomb! Surprisingly comfortable for having a 3 inch heel. I adore this hat because it goes with every season, I've worn it all year long and I don't plan on stopping anytime soon! These photos were taken at Reflection Lake in my hometown of Palmer, it's absolutely stunning in the fall I'm so glad to be able to spend this beautiful season in my home state with my wonderful husband! Our time here with my family has truly been memorable and we couldn't have picked a better time of year. Thursday afternoon we headed North up the Glenn Highway towards Matanuska Glacier. This is one of my favorite places to visit and bring visitors! This glacier is unique because you can walk right onto it and hike around freely! It gets a little sketchy though because it is sheer ice and there's huge crevasses everywhere.. But we made our way up the glacier and did wha we do best - take photos! Everything about the day was just incredible - the colors, the valleys, the scenery. Just breathtaking. I love fall in Alaska!! Before flying to Alaska last week, we explored downtown Seattle while visiting with my sis who lives in the area! It was Tyler's first time in the city and my first time in almost 10 years. I wanted all the flowers at Pikes Place! But my sister is allergic, and we were flying out the next morning :( Boo. Finding the gum wall wasn't easy, but I'm glad we did! People stick business cards and such, we came across a card with the Salt Lake Temple on it! I stuck my gum on that one. We ended the day by watching the sunset over the skyline in West Seattle. Seattle has it's own unique personality - to me, it was sort of like a classy, more modern Alaska. Which I loved! I cannot wait to be back next week to explore more. A big thanks to my sister Kylie to letting us stay at her place! #Day3 We left Seattle on 6 AM flight to Alaska, where we drove to Palmer where Megin grew up! #Day4 we drove to Butte to take a better look at Pioneer Peak, then drove all the way back to Matanuska Glacier. If you haven't noticed Megin and I love to drive to see new things and places, go thing Spotify never lets us down! Sorry about the Sound, I am fixing it but the internet connection is crazy slow! Haha! Welcome to the first post of the newest addition to Tyler and Megin! We are so excited to share something with you that we both love. Our goal with this new project is to share our personalities through clothing and share style tips & shopping hacks. I have always wanted to start a fashion blog, but never had the time, resources, or means to do so. I am so excited and thankful to my husband for his support and for making my dreams come true! I can't wait to get started and I hope you guys love what we do! My style is not necessarily about having TONS of clothes in my closet, but rather having fewer pieces that are more versatile and can be mixed & matched into endless combinations. I want to emphasize that having a cute, modest style doesn't have to be expensive and you don't have to dress the same as everyone else. Your style is about you, and that is the most important thing! When we were in Vegas last week, we hit the outlet malls hard.. We're talking like we went to each mall three separate times throughout the week.. But we definitely scored big time. Both of my looks shown here are from one of my new favorite stores, Charlotte Russe. I had never been to one as we don't have them in Alaska, but I spent the most time in there out of anywhere! They had great deals on trendy fall pieces that I loved. I'm turning into a crazy hat lady.. I feel better with a hat on and I love them for fall and winter! Even though the weather was ridiculously hot in Vegas, these looks worked great for a night on the strip! [iframe id="https://www.youtube.com/embed/UoglruFUb8o" align="center"] For Megin and I's honeymoon we drove down to Vegas. We hit up the Strip and had to stop by the Nike store, oh wait can't forget Megin is obsessed with Pairs so we took numbers of selfies and we already have plans of going to Europe next fall! Seriously can't tell you how much I love being with Megin! She is legit! Can't wait to tell you about the project she is working on, I am so proud of her! 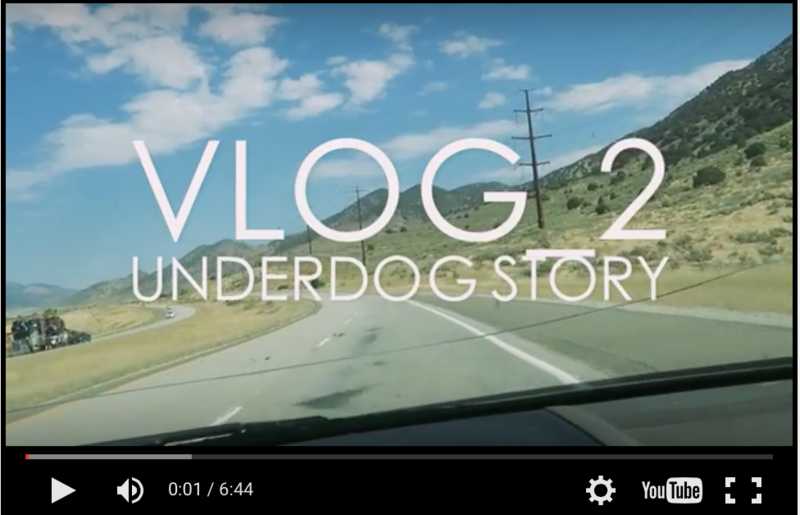 [iframe id="https://www.youtube.com/embed/Ws4rJ2pQhiM"] Driving back from SLC, I had to tell my story of being an underdog! I tell how I am have Dyslexia, also known as reading disorder, is a learning disability characterized by trouble with reading despite normal intelligence. First Tyler's VLog, my goal is to do three a week. This one we traveled to Saint Paul, Minnesota to take video and pictures of Scott and Courtney Wedding. Not only did we shoot a wedding but it was Megin birthday! 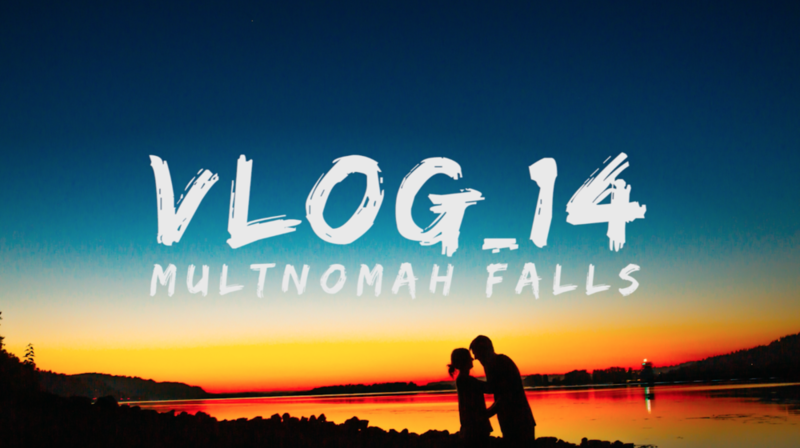 We flew in late Friday night and the VLog starts early Saturday, Aug 29. Giving a recap of the day, then we got up at 3:30 am to catch a flight back to SLC to drive home. What do you wish someone would have told you when you were about to be married?